In all that swirls around us today, from top headline news stories to the day to day struggles, I’m aware, more than ever – we’re in a battle in this life. We face an active enemy every single day that we’re here breathing air. We may not see it, we might forget, it’s easy to lose focus, and get distracted on all that doesn’t really matter. But the truth is, spiritual forces are still at work. Every wise soldier knows he must do one thing. To get him through the battle. To take him into tomorrow. Know who the enemy is. Unless we know who the real enemy is and how he operates, chances are, we will not win. We must know his schemes, understand his battle tactics, know his weaknesses and his strengths. We must know what he looks like, and how he disguises himself. We must live aware. The same is true in life. Yet sometimes we forget. Often in the day to day of life routines, we lose sight of who the enemy really is. And we start fighting one another, even turning against our own team. Divided families, separated friendships, split churches – we lose power and effectiveness when we fight against ourselves. And nothing could make the Satan happier than to see us at war with each other. Other times, we assume we’re fighting the right battles, against opposing forces, but our focus gets blurred. We wrestle and struggle with those that disagree with our beliefs, values, or what we stand for. We spin our wheels, wearying ourselves with critical words and judgmental tones. And in it all, with energy zapped, and more anger than love, we miss it. There’s one who lurks around us today. He’s real. He’s alive. He’s deceptive. He’s crafty. And his primary goal is to strike you down, along with as many others he can drag down with you. He waits. He searches. He watches. Looking for the best time to attack, at your weakest, most vulnerable moment. Satan is the real foe we face. And he’s not just some guy in a red suit, pitchfork in hand. Don’t be fooled. He’s far more deceptive. He wants you to fail; he wants you to quit; he wants to render you completely ineffective. His main goal is to steal, kill, and destroy. He seeks to gain ground today in as many lives as he can, and in every corner of our world, for he knows his time is limited. But we don’t have to let him win. God has much to say about his devious schemes. And though he never tells us to be afraid, he does tell us to be on guard and to live aware. God has a plan for our lives. The enemy has a plan for us too. We have to determine which voice we’re going to listen to, and who we will choose to follow. When you’re already down. Satan never fights fair. He’s cruel. He will try to kick you while you’re down, and attack when you already struggling, and at your weakest, most vulnerable moments. When you don’t expect it. Often when life is great and things seem happy, we let our guard down. We forget he’s still there, waiting for one unexpected moment when he can come in with a brutal blow. Even when days are good, and we are strong, live aware that dark forces fight against us, in the spiritual realm where we cannot see. When you think you can handle it. We must live aware, understanding our weakness and find strength in God alone, never in our own flesh. Do not be fooled to think you can’t be tempted. When you’re making a difference for God’s purposes. If you are a force for God’s kingdom, and living like salt and light in this world, know that you will be attacked. You will. No doubt. Stay aware, do not be surprised, opposing forces will try to stop your influence for Christ. But they do not have to win. 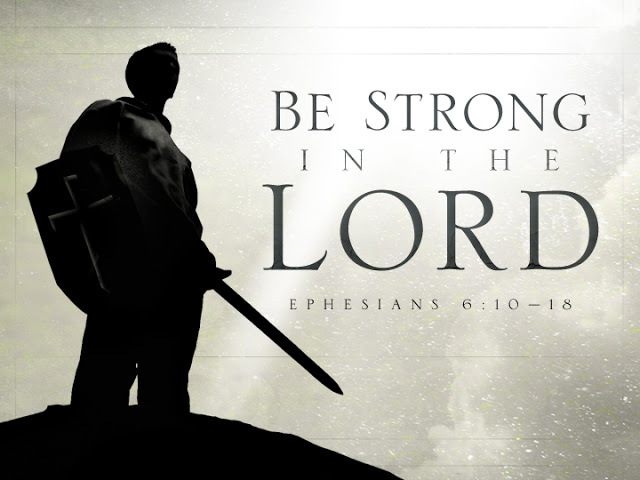 And we need not be afraid, for the Lord our God fights for us. He is on our side. Keep living aware. Keep standing strong. You are never alone. Really helpful for fighting battlefield in our Mind. Often, the greatest purposes of life come after the hardest storms. Keep traveling through friend, God’s not finished with us yet…… This statement is encouraging me to know my God given purpose…. God bless you….